I had no idea. Do most other normal people check the weather? I think so, so what’s wrong with me? It might be that since my first and last acts of any day involve me standing in the backyard with my dogs, that I use that as my daily weather checks. And since no rain or clouds this morning, I didn’t expect rain all day. Luckily for me, I carry a little umbrella in my bag at all times. So in theory, I’ve already accounted for my inability to conduct reasonable routine daily thoughts. But while I’m not bothering my brain about little things like the traffic report, or whether I needed gloves today, I had this weird thought in my brain about whether I’d tell my kids that Santa is real. This is absurd lunacy as among other things I have no date or kids or immediate prospects of such things. Soon, I guess. But right now it’s just a weird pointless thought. But then my next needless thought was, why? Why? Why is this still a thing? Why did humanity not banish the idea of Santa to the gutter alongside other winning ideas such as human sacrifice? The Arcturus Project: Greetings, Sir. Jesus Christ: How’s it going? TAP: Happy early birthday then. JC: It’s not my actual birthday, the 25th is a construct, it’s the message that counts. TAP: So what’s your actual birthday? JC: Uh, you’re a, you’re not listening. JC: Yeah okay, what about Santa then. TAP: What’s the deal with this creep? JC: He makes people happy, what’s wrong with you? TAP: I have many problems, which one in particular are you referring to? JC: Even the most child friendly, popular creatures in existence can be twisted in a dark way. 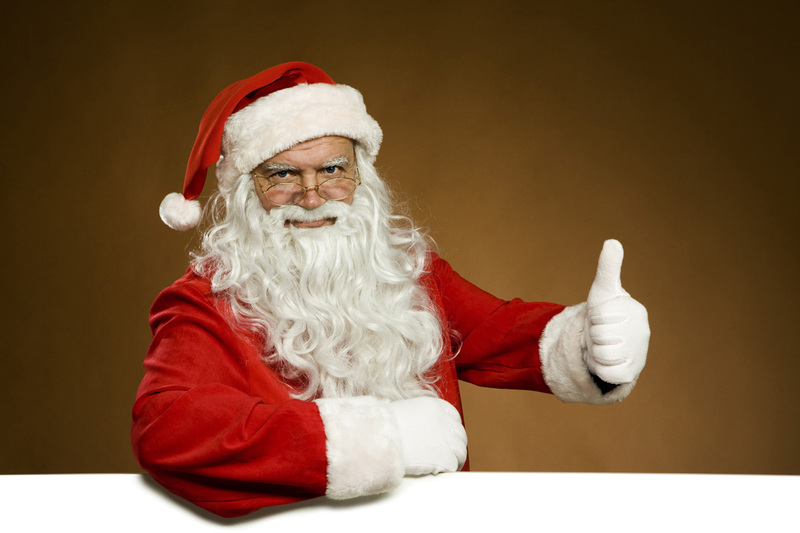 But Santa’s a likeable, jolly guy, so people have decided he can stick around. TAP: Lies. Not all popular child friendly creations are creepy. 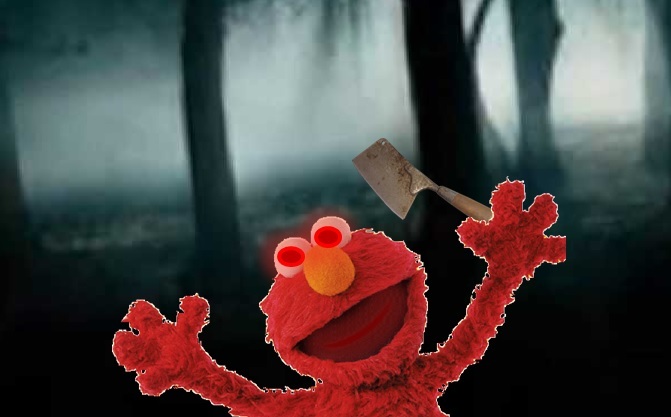 JC: Oh yeah, take this Elmo guy. If you left his appearance, voice, and mannerisms exactly the same, but gave him a butcher knife in an NC-17 rated slasher horror movie he’d cause grown men to vomit in the theater aisles. TAP: Oh, sorry. [shudders] I mean, I guess I see your point. JC: Santa’s just about the dumbest creation in human history, except for yo-yos, but what he does is encourage family togetherness, the idea of somebody jolly watching over you, and the idea that you can happily pass traditions onto your kids like your own parents did; even if those traditions are somewhat foolish or creepy, like flying reindeer. TAP: I guess I see your point. JC: Nobody thinks about me during Christmas anymore. And I suppose eventually, if everybody told their kids Santa wasn’t real, that eventually he’d fade from Christmas too. TAP: But he’s backed by Macy’s, so he’ll probably stick around. You’re only backed by all the powers of the universe, so eventually you might fade into benign oblivion. TAP: What do we do? JC: Tell your future kids Santa is real, have fun with it, like your parents did with you. And then tell them about the real point of Christmas too. Keep the traditions going that are worth preserving. TAP: So if the 25th isn’t your actual birthday, what do you normally do on that day? JC: I usually go on a pre-New Year’s bender with my other religion bros. And we generally go see a movie, this year we’re of course seeing Star Wars. TAP: Oh, that should be fun. JC: Not according to your last post. TAP: Uh, yeah, I guess. Sorry. JC: It’s okay, but if the movie isn’t any good, I’m just going to blame you for ruining all of Christmas. TAP: Isn’t that a little harsh? JC: I have high standards that encourage positive thought and behavior. TAP: How am I doing with that?